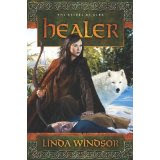 I haven't officially done reviews in a good long while, but I'm doing a select few titles ... beginning with Healer, the new historical romance by Linda Windsor. I am SO excited to share this one! Admittedly, I had a twinge or two of jealousy ... those who know me well may guess why (her Brenna even has the black hair and blue eyes of mine, but since when is that uncommon in peoples of Celtic descent? :-) ) ... but I was soon sucked right in. 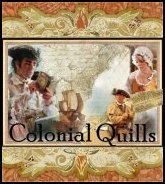 In fact, this is the story I've been waiting to read by Linda Windsor, ever since discovering her Fires of Gleannmara series years ago. Her writing is deeper, richer, smoother than ever before. Despite my weariness with seemingly endless versions of the Arthurian legend, I was captivated by this one. Windsor puts a unique and scholarly spin on this tale, tying it in with ancient Biblical history and prophecies. Although the publisher provided this book to me for review, I will gladly buy its sequels outright. :-) I could hardly put it down, once I was able to start, and I'm very much looking forward to the next in the series. Thank you, Linda, for another wonderful story! Shannon, Thanks for your wonderful review of HEALER. It's great to be recognized for the research and its value in learning how the early Christians won the pagans over for Christ, because that is just as valid today with New Age as it was back when it was Old Age creation worship. That it helped me reach my daughter when she was involved in Wicca is the greatest blessing of all. I know the heartbreak of discovering your child has been seduced by partial truths away from Christ. I hope to post an article I wrote on some of the intriguing Arthurian customs and traditions on my website next week (or as soon as my webmistress can do it. I am web hopeless. PS: Y'all come over to www.LindaWindsor.com and view my gorgeous book trailer...my first ever! And enter my contest a signed copy of HEALER. Thank you, Linda, for your kind words! It was a pleasure! And praise God for enabling you to helping your daughter find the Truth. I love to see how He truly is the all-encompassing source, and how echoes of His truth are found everywhere.